Coach Anaya realizes the need and opportunity for young players to learn life lessons through the game. Growing up and now raising his family in Chicago's Pilsen neighborhood keeps Coach Anaya sharp in knowing what it takes to get maximum performance from his players by encouraging steady improvement, extremely hard work, and smart court sense. 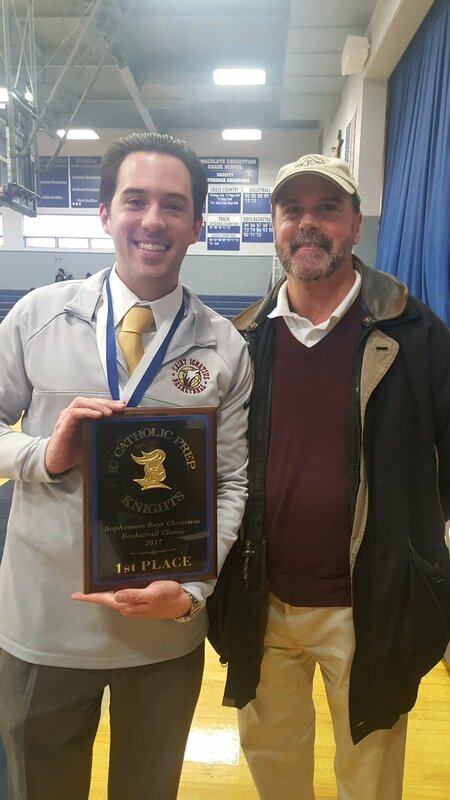 Coach Alex Anaya steadily improved his Cristo Rey Jesuit High School varsity teams each season by drilling fundamentals, teamwork, and conditioning, and is the winningest coach in the school's history. Anaya also has an impressive playing career behind him. He first developed his work ethic and passion for the game while playing point guard for the Eagles of Benito Juarez Community Academy in Pilsen, then went on to play at Chicago's Truman College, followed by a very successful and accolade-filled 15-year stint leading his team in the Hispanic Basketball Association. 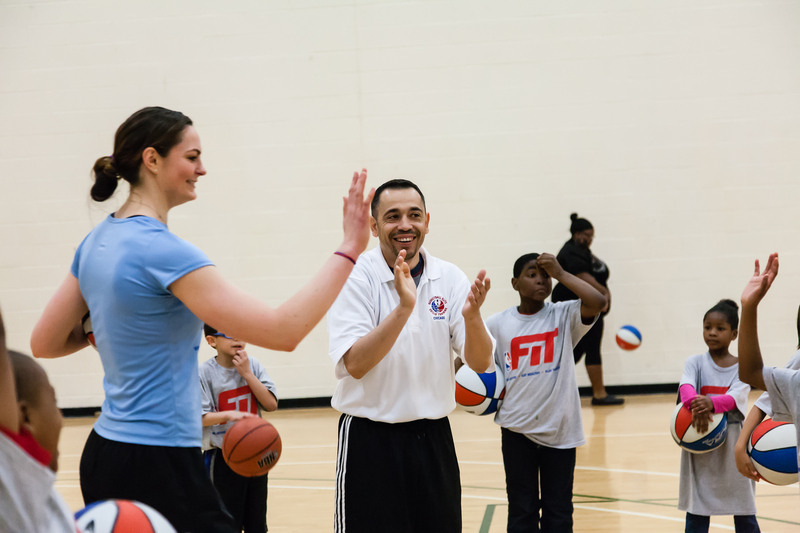 Coach Anaya has developed youth basketball programs and loves to volunteer his time contributing to Chicago's youth. Coach Brewley is an extremely skilled, sport specific basketball coach with over 25 years of experience coaching throughout the Caribbean and in Chicago. He is the Varsity Boys Basketball Coach at Manley High School. Jamal has worked with, trained, and developed numerous high school, collegiate, and professional athletes. In addition to teaching the fundamentals of basketball, he specializes in strength conditioning, speed and agility, plyometrics, and resistance training. Brewley is a former assistant boys basketball coach at Francis W. Parker High School in Chicago, where he helped guide the Colonels to back-to-back 2A Regional titles. He also helped earn several more conference and regional titles as an assistant coach at perennial Chicago Public League powerhouse Farragut Academy, the high school of Ronnie Fields and NBA Legend Kevin Garnett. Jamal is a longtime coach for the Sonny Parker Youth Foundation Basketball Academy and their Chicago Select AAU Basketball Team. He coached in the Sonny Parker NCAA Sanctioned Summer League, leading his squad to the title in 2001. 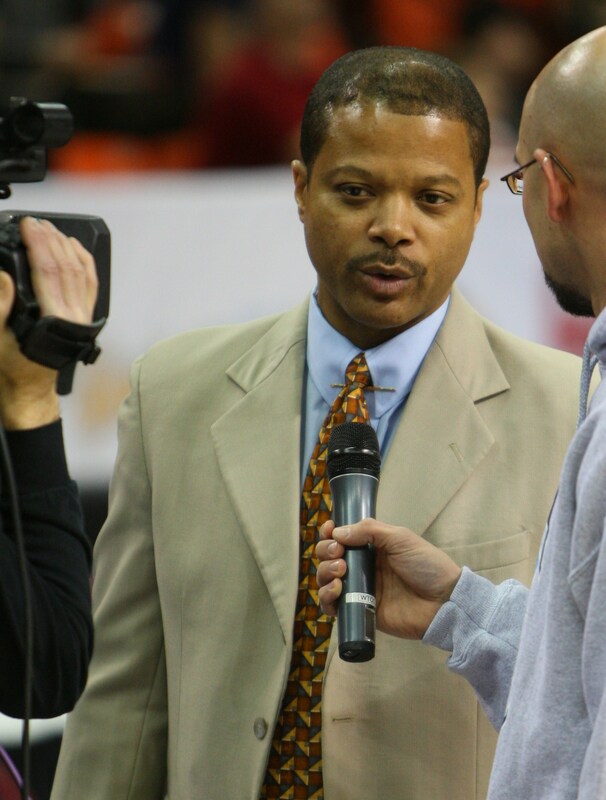 Coach Brewley led the St. Thomas Ball Stars to victory against the Puerto Rico 19U National Basketball Team in the Great Adventure International Hoop Classic in 2005. Also in 2005, Coach Brewley led the Pilipino Basketball League (PBL) of Glendale Heights to the 19U InterUCity Championship by defeating PhilCan of Toronto, Canada, in the Pilipino Basketball Association (PBA) InterUCity Tournament, a 32 team tournament pitting top teams from across Canada and the United States. Coach Brewley loves bringing his many certifications (Certified Youth Development Coach for USA Basketball, IHSA Certified Coach, Camp Director: Luther Head Basketball Camp, Linton Johnson Third Gear Basketball Camp) to B.E.S.T. 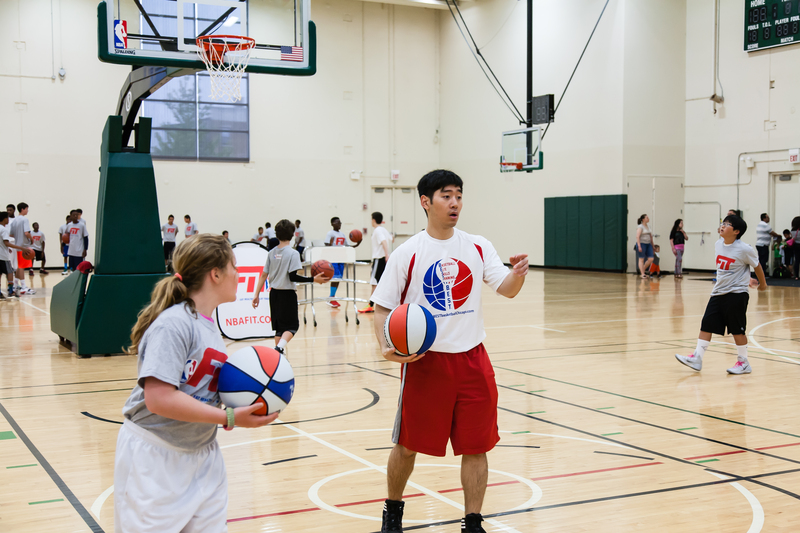 Basketball Chicago, where he has run clinics with such well known basketball organizations as NBA Cares, JrNBA, the Euroleague's Maccabi TelAviv and Team Milano, and the Harlem Globetrotters. Jamal is the Co-Founder and International Coordinator of Great Adventure Basketball Fundamental Camp, a summer basketball camp in St. Thomas, U.S.V.I. 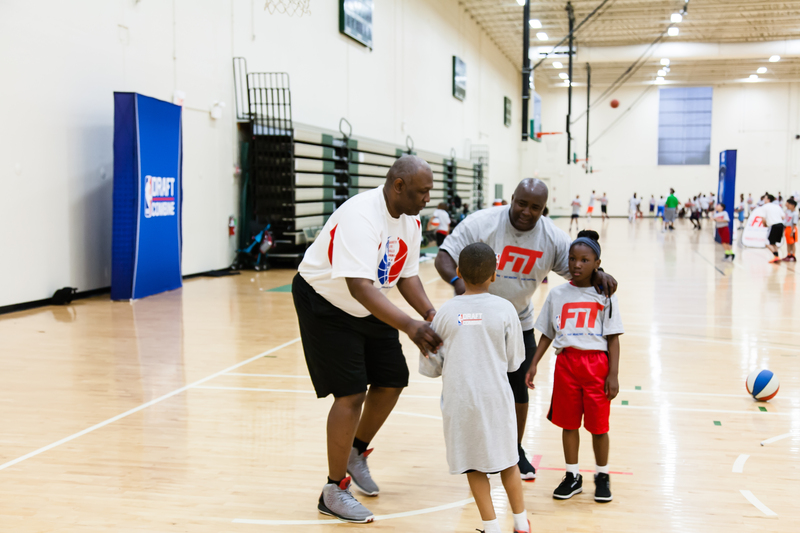 After suffering through Chicago's brutal winter basketball seasons, Coach Brewley has enjoyed going home to his native St. Thomas for the past 20 summers to run his summer-long Great Adventure Basketball Camp. Matt Duhig is a task-master on the court who enjoys bringing the best out of his players. B.E.S.T. Basketball is one of Matt's coaching duties as he also leads the boys' varsity St. John Berchmans in Logan Square on Chicago's North Side. Coach Duhig has basketball in his blood and stepped into his first coaching role when he was a student at St. Ignatius College Prep. He was a driving force on the coaching staff for a varsity grammar school team that used all 10 boys in their 8th grade class to beat teams from across the city and northern Indiana and go on to a 72-3 win-loss record. 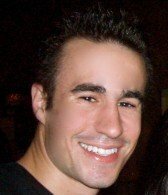 Matt earned a bachelor’s degree from Purdue University and a master’s degree from Roosevelt University. He still plays competitive basketball in Chicago while working in a real estate investment firm. With an open heart Coach Edwards leads by example, instruction, and enthusiasm. Edwards played elite club basketball in Houston, TX. She was an undeniable starter, providing second nature defense and big man skills, leading her 5A high school to a four year undefeated record. Edwards graduated from the University of Houston with a degree in Broadcasting, then began coaching youth basketball under retired NBA big man and Phi Slamma Jamma Alumni, Larry "Mr. Mean" Micheaux, whose TX basketball program was not only tremendous in developing talent but key in developing character. After moving to Chicago, Coach Edwards has continued furthering her coaching knowledge and resume on the staff of B.E.S.T. Basketball Chicago. Coach Edwards’ work with B.E.S.T. empowers and continues to enrich her basketball journey. "The players of tomorrow have to be thinkers and doers of today." Coach Ghizoni has been involved with the game of basketball since his life began and it is one of his favorite passions. A Twin Cities, MN native, he joined B.E.S.T. Basketball in the fall of 2014. During his days as a player, Ghizoni was a 3-year starter and All-Conference recipient at Burnsville High School, MN, where he helped lead his team to a state tournament appearance. Jack then attended and graduated from D3 St. John's University, MN, where he continued playing basketball for 2 years. Ghizoni has a Business/Psychology degree and now resides in the Lakeview neighborhood of Chicago. Coach Ghizoni devotes a significant amount of his free time to giving back and is whole heartedly invested in making a difference in the lives of the children he coaches at B.E.S.T. Basketball Chicago. Outside of being a skilled 3-point shooter himself, Ghizoni's philosophy is "defense first", and he specializes in teaching both from a team and individual standpoint. Coach Ghizoni adheres to the core values of B.E.S.T. Basketball Chicago, as he believes basketball can be used as a vehicle to help basketball playing youth strengthen their academic and life skills while building fun, meaningful, and lasting relationships along the way. Lauren Greif graduated from the University of California Berkeley in 2010 with a successful academic and athletic resume under her belt. Lauren was a 4-year Letter winner and starter on the Basketball team, and she is currently ranked 3rd in career 3-pt field goals made and 6th all-time in games played. She appeared in three NCAA tournaments, and her team won the National Invitational Tournament championship her Senior year. Greif was named to the Pac-10 All-Academic Team twice. Lauren began her coaching career with the Stanford Women's Basketball program, where she was the Special Assistant/Video Coordinator for 5 years. During Greif's coaching career at Stanford, the team won four Pac-12 Regular Season and Tournament Championships and competed in three Final Fours. Greif was the Assistant Director of Stanford Women's Basketball camps for 1,000+ girls each summer, and was also the Director of Bay Area Basketball Academy (BABA) in Palo Alto, running individual and group training sessions for junior high and high school players. Greif enjoys passing along the lessons she's learned from all her own successes on the court and in the classroom by using her B.A. in Psychology from Cal and a M.A. in Sports Psychology from San Jose State to help young student athletes at B.E.S.T. Basketball Chicago. Coach Mike Hurley is a Varsity Assistant Coach at St. Ignatius College Prep in Chicago, where he also serves as the Assistant Athletic Director. 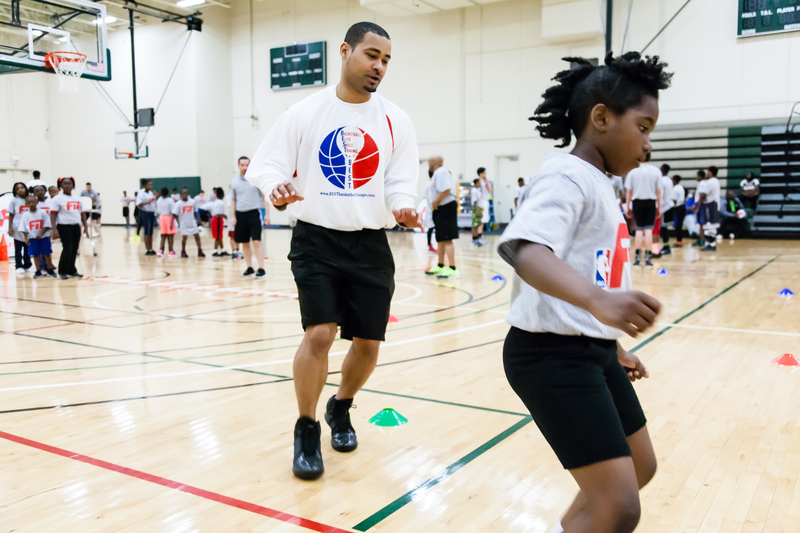 He has been teaching and instructing basketball to youth players around the Chicago area for over 10 years, spending time coaching and administrating school teams, camps and clinics, including with B.E.S.T. Basketball Chicago since its founding in 2012. Coach Hurley's teams have been recognized for their team discipline, sportsmanship, and solid fundamental play. In 2015, he was named as a co-chairman of the new Chicago Catholic Youth League, a new 18-school conference that sponsors basketball for Chicago-area Catholic schools. Coach Hurley started coaching due to the positive impact he experienced from youth coaches while growing up. Using the life lessons and instruction he learned from each of them, he enjoys teaching the game of basketball to youth players today. Coach Hurley is a graduate of Marquette University and St. Ignatius College Prep. He is certified as a coach under the Positive Coaching Alliance and Notre Dame Play Like a Champion Today programs. He will also soon complete his Master's Degree in Sports Industry Management from Gerogetown University. Coach Lee joins B.E.S.T. Basketball Chicago with a strong background in sports, leadership, and service. Drew has been involved with organized sports both as a player and a coach throughout his life and understands the valuable life lessons that can be learned through sports. These lessons have helped Drew overcome many obstacles to be successful both inside and outside the classroom. 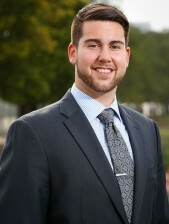 Drew attended Northside College Prep High School, where he was a 3-sport varsity starter (basketball, baseball and softball) and accomplished numerous academic and athletic achievements, including the school's first Men's Varsity Basketball Conference Championship his senior year. Drew went on to Loyola University-Chicago, where he graduated with 3 majors and was selected as the first Asian Commencement Speaker in school history. He continued his medical education at Loyola University-Stritch School of Medicine, where he received a dual-degree MD/MA in Medicine/Bioethics and Health Policy. After medical school, he spent a year in Washington, DC, working on health policy before starting his residency at Advocate Lutheran General Hospital. As a doctor, Drew sees the direct impact that sports can have on health and encourages staying active and eating healthily from a young age in order to establish healthy habits for the rest of life. Drew's coaching philosophy is to try your best and never give up, because effort and perseverence are two things that no one can take away from you, regardless of the outcome of the game. Coach Joseph Lee is excited to be an integral leader at B.E.S.T. 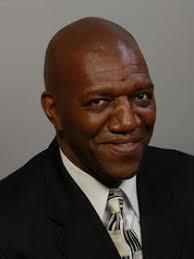 Basketball Chicago, and he brings a strong sports, academic, and professional background. Joseph was a varsity letterman and on the academic All-City Team at Chicago’s prestigious and demanding Northside College Preparatory High School. He excelled in the classroom, in his church community, and on the athletic field. His golf accomplishments include being a 4 time city champion and state tournament qualifier, and his basketball accomplishments include helping his team win the Blue North Conference. 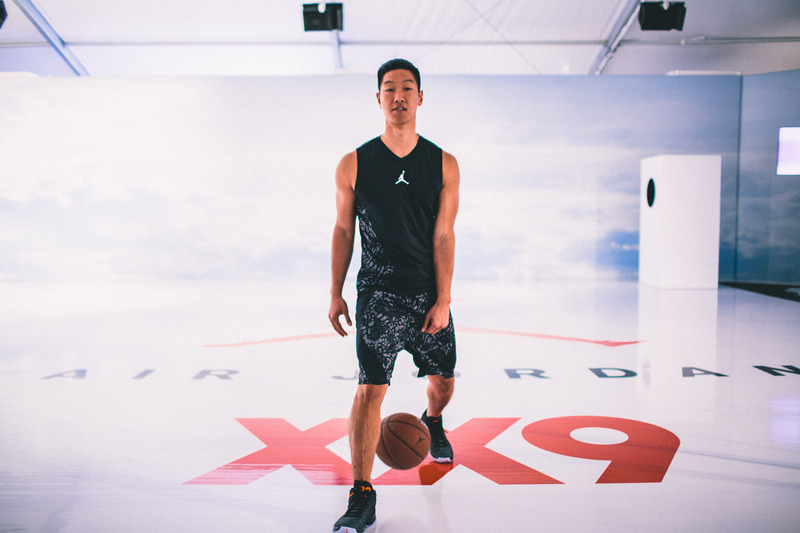 Joseph attended college at Northwestern University, where he continued to participate in basketball as the vice-President of the Men’s Club Basketball Team and also led the Chicago Korean Basketball Association to 2nd place in the Korean American Olympics. At NU, Lee was a psychology and pre-medical major, and an Asian American Studies Minor, while serving as president of Habitat for Humanity, the Asian Pacific American Coalition, resident assistant, and worked with the America Reads program. After graduating from Northwestern University, Joseph was a solid leader in the Teach for America program, teaching for 2 years at Parkside Community Academy as a science teacher and middle school chair on Chicago’s south side. For the successes of his classroom, he was featured in the Chicago Tribune and on CNN. Concurrently, he earned a Masters in the Art of Teaching at Dominican University in River Forest, IL. Always striving to further his academic pursuits, Joseph enrolled at Rush Medical School, pursuing a career in pediatrics, and he is currently doing his residency at U of Chicago Lurie Children's Hopsital. Lee is the regional director of the Asian Pacific American Medical Association, founder of Strength in Diversity, part of the Asian American Institute, Northside Alumni Association board member, and also volunteering at Parkside Community Academy. Joseph loves coaching our next generation of successful student-athletes and is proud to call B.E.S.T. Basketball Chicago an organization he believes in and gives his time to. Coach Moran had a lot of fun as a player, helping lead his high school team to a top 3 ranking in the State of Colorado, receiving first team all conference honors along the way. He began coaching soon thereafter, and has enjoyed working with high school and grammar school hoopers ever since. His focus on fundamentals, attention to detail, and most importantly "how" to play the game, highlight his approach on the court. More importantly, throughout his time playing he learned to value the lessons basketball teaches that can be applied off the court, and leading players down that same path has been his highest priority. Dustin was drawn to B.E.S.T. Basketball Chicago because of their insistence on the same high character principles. Sharing his passion for the game, building lasting relationships, and growing young players into exceptional people is what continues to motivate him to go above and beyond for players and fellow coaches. Coach Matt Shrake began coaching youth sports in Minnesota while in high school and college in the 1980's and continues to love building and developing strong players and strong teams. He has coached high school and youth basketball and baseball in Chicago since 1996. He is dedicated to teaching the game of basketball "the right way". Coach Shrake's coaching style is strongly influenced by his father, a former high school coach in Minnesota. Coach Shrake also climbed through the ranks of sports officiating, starting with youth basketball, baseball, and football and working his way up to refereeing high school basketball and umpiring high school and NCAA Division I and Division III baseball. Coach Shrake's influence extends to thousands of current and former athletes at all levels. Although he loves keeping up with the quickly evolving game of basketball, he remains committed to addressing the finest of details during practice and workout sessions so that his players enter every competition with the physical conditioning, mental toughness, and confidence necessary to succeed. 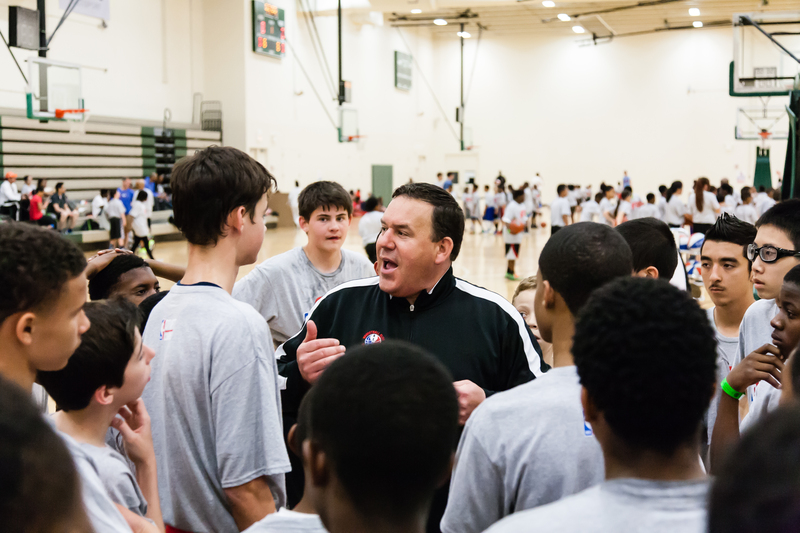 Coach Matt Shrake loves teaching Chicago's youth life's best lessons through the sport of basketball at BEST Basketball Chicago. 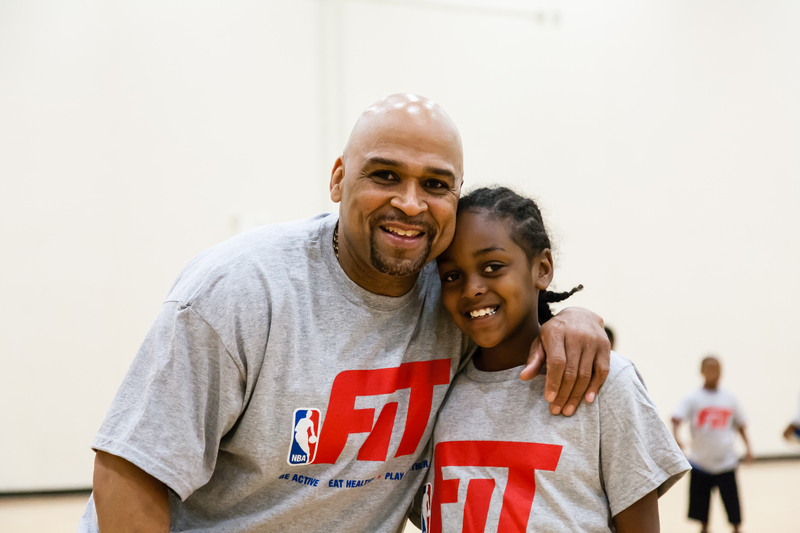 Coach Walker is a basketball and fitness coach specializing in physical and emotional player development. Larry played basketball at Fenwick High School where he was a highly ranked guard, then played collegiate basketball at St. John’s University (MN) and Malcolm X College (Chicago). Throughout his high school and college playing careers he coached, and as his passion and knowledge base grew he's continued to enjoy it. Larry is on the basketball coaching staff at St. Ignatius College Prep, working with the freshman teams. His hard-driving yet charismatic style is key to his players' quick development and understanding of the game, especially defensively and at the guard position.